Last week, the internet was abuzz with talk of a clear pumpkin pie. The fall favorite, it seemed, had gotten a transparent treatment—and people couldn’t look away. 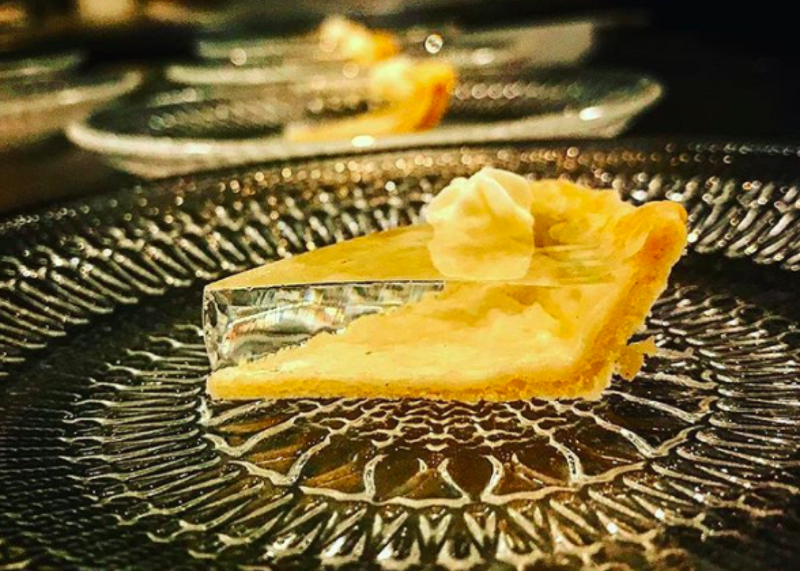 An image of the pie first appeared on Instagram in late September when Simon Davies, the chef de cuisine at Alinea in Chicago, posted a video of the tiny slice. His succinct caption—“Pumpkin pie for the fall menu. #surrealism”—left much to the imagination. It wasn’t until last week, when Alinea’s founder Grant Achatz shared an image of the pie on his Instagram account, that word of the clear creation really started to spread. The tiny slice of pie is currently on the menu at Alinea and will stay there for as long as pumpkin is in season. Though it may be far from traditional, mini clear pumpkin pie is a break from convention I’d love to try.